PAYNE! SMITH(Ensemble) is thrilled to be making his debut at Coronado Playhouse. This is his second show in SoCal after moving from Oregon, the first being Patio Playhouse’s Every Christmas Story Ever Told. Most recently, Payne! has been seen in Camelot Theatre’s The Man Who Shot Liberty Valanceand in CTP’s Snow Queenand Seven Dreams of Falling. Payne! has also choreographed several shows, including Pippin, Rent, Music Man, and My Fair Lady. 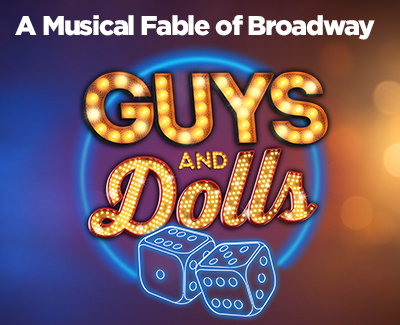 ANTHONY ZELIG (Resident Producer) is proud to be a part of the wonderful team bringing you this production of Guys and Dolls. Anthony spent 24 years in New York, working on and off Broadway as well as surviving a career as a personal assistant to high-net-worth individuals. He is very happy to have made his way to San Diego and found a home at Coronado Playhouse. Previous CPH credits include designing lights for three 2018 shows: A Man of No Importance, Follies in Concert and Joseph and The Amazing Technicolor Dreamcoat as well as helping produce Next to Normal. Enjoy the show and thank you for supporting live theatre!